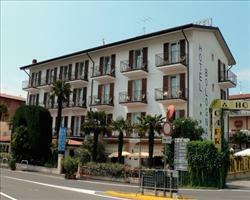 This modern, spacious hotel offers quality accommodation, with bright public areas and comfortable, good sized bedrooms. 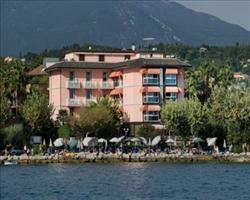 With a wonderful location right on the lakefront, the hotel is just a short, pleasant walk from the heart of Bardolino while from its rooftop terrace, guests can enjoy fantastic views right across the lake. for 2 people on bed and breakfast sharing a twin room with private bath or shower, WC and balcony. Triple rooms and rooms with a lake view are available at a supplement. All rooms have air conditioning (from approx. 01/06-15/09), hairdryer, safe, telephone, satellite TV and minibar. We update Villa Letizia's details often, but facilities do change. e.g. some extras listed by the supplier as "free" or included might only be for the first time you use them, or for one time per party, then charged for further use. If any specific feature is essential to your holiday, make sure you ask us to confirm the details of it before you book your holiday. Bologna Hotel Bardolino Italy, Manchester 4th May. Gritti Parc Hotel Bardolino Italy, Birmingham 11th May. Kriss Internazion... Bardolino Italy, Manchester 4th May. San Pietro Hotel Bardolino Italy, Newcastle 8th May. 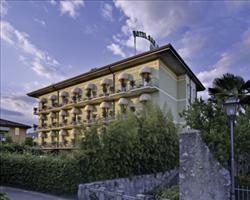 Catullo Hotel Bardolino Italy, Newcastle 4th May. 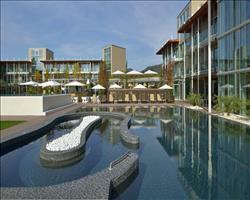 The Aqualux Hotel... Bardolino Italy, Manchester 4th May.